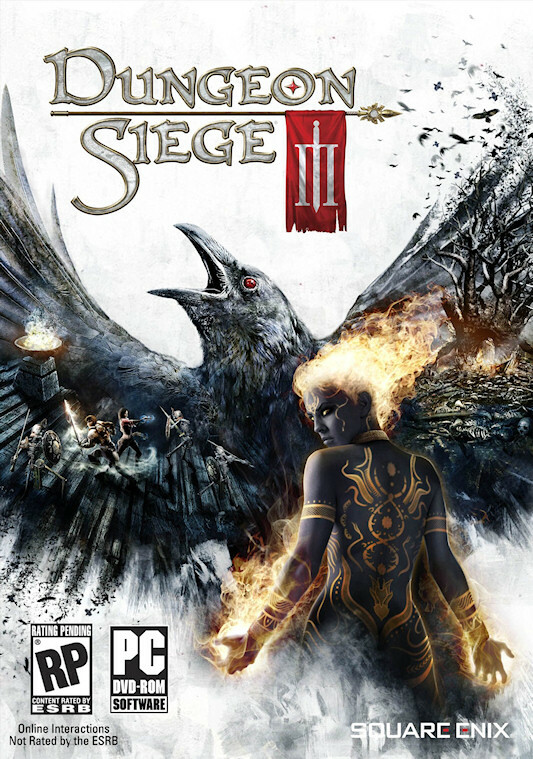 GB: Before I get into Dungeon Siege III, can you tell us a bit about your time at Black Isle Studios? What were you working on during your time there? Rich: I don't even know if they ever announced it. It was Baldur's Gate III at the time. Rich: Jefferson. And then we were working on Fallout 3, which everyone knows nowadays. GB: I don't mean to get off topic here, but how far along was the development of Baldur's Gate III based on your time working on it? Rich: I'm trying to think back. We had working levels and stuff, but it had a ways to go. We had finished the world and we were making areas and things like that, and the art was really coming along. And I know we were starting to work on the classes and details like that. GB: Do people around here still talk about that project to this day, perhaps grumbling about its cancellation? Rich: [laughter] I think we still probably have like 10 or 15 Black Isle people around here. But seven years is a long time and people come and go and forget. GB: Alright, back to Dungeon Siege III. How did you learn that Obsidian had secured the Dungeon Siege license and was it a license that you ever expected to be working on? Rich: It's hard to know. I wasn't involved in getting it together. I actually became project director last year, so I kind of stepped up into that role. So it was sort of like, "Hey, you're working on Dungeon Siege and get to work," you know [laughter]. I was a lead programmer at the time we obtained it; it was a collaborative discussion between us and Square. They really wanted a western-style RPG, and of course that's what we enjoy making here. My assumption is that when they looked around for licenses that would be a good jump off point, Dungeon Siege stuck out as one. It's one of those cases where it's a license that people recognize the name. But it's not a game that just came out last year, so it's kind of a, "Hey, why don't we take this and bring it to a modern console, because no one's done that yet." So it kind of stuck out as an opportunity like that. GB: Why did you decide to go with Dungeon Siege III? Why not Dungeon Siege and a subtitle in order to define it as more of a reboot like it is? Rich: [laughter] That's a very good question. We actually talked about going that route. Ultimately, it was what we settled after talking it over with Square. There was already a PSP version of Dungeon Siege that had a subtitle. Rich: Yeah. I think Square Enix just wanted to establish this as where Dungeon Siege is going now, this is the line.